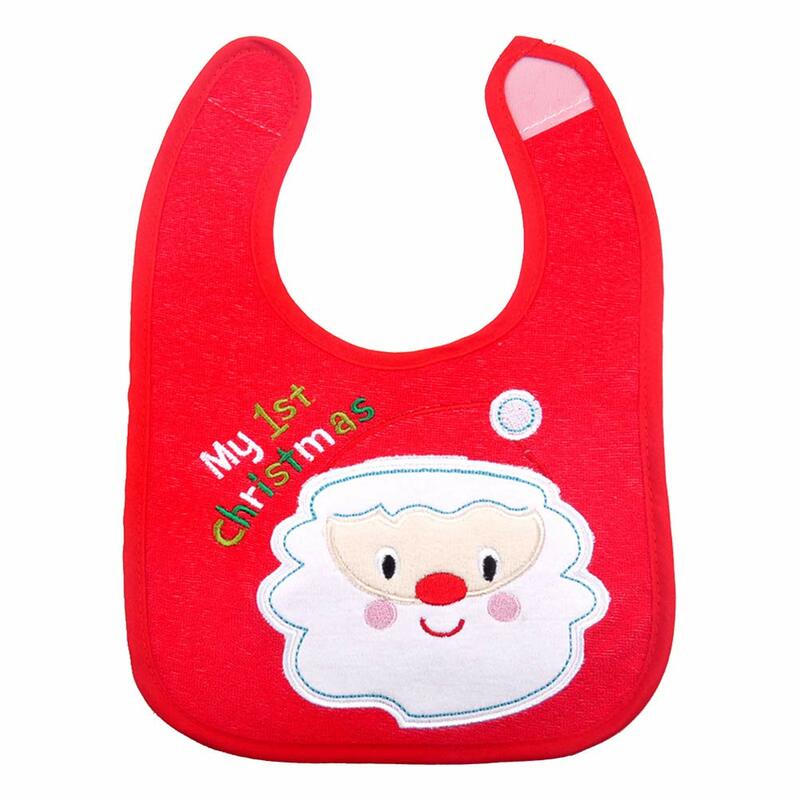 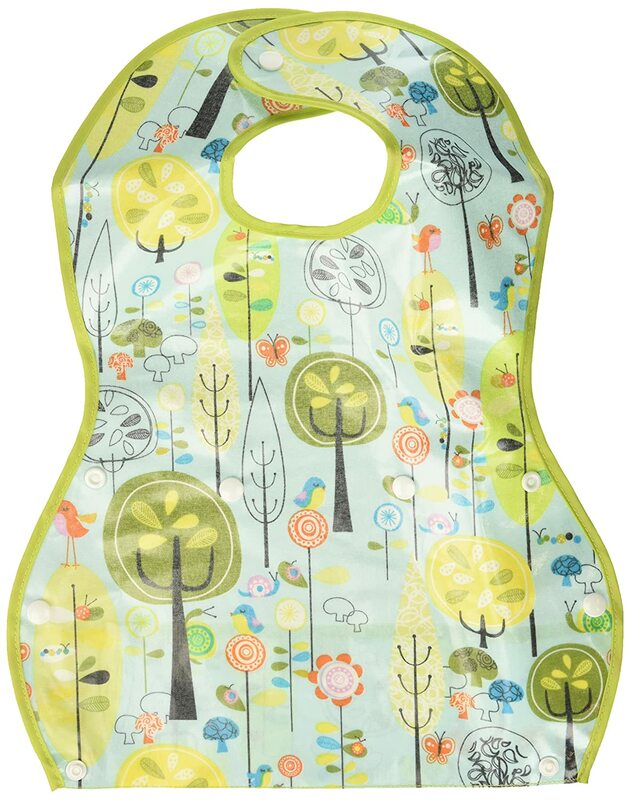 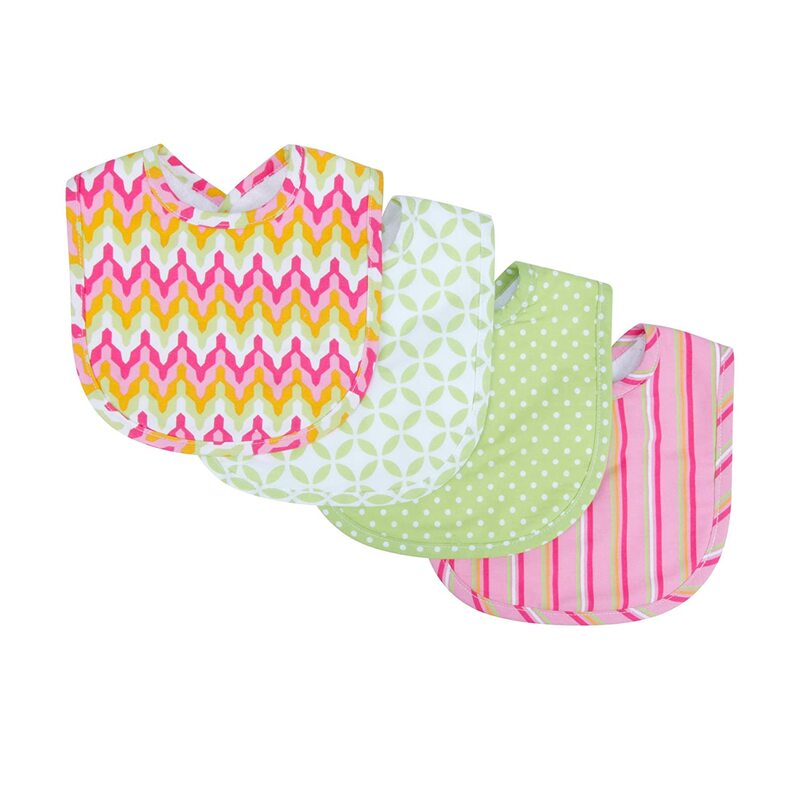 "The perfect pocket waterproof bib is a must have for any parent." 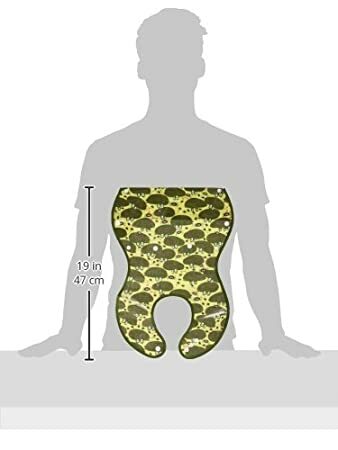 the patented mess-catching pocket is not your typical flat, "sewn in place" pocket. 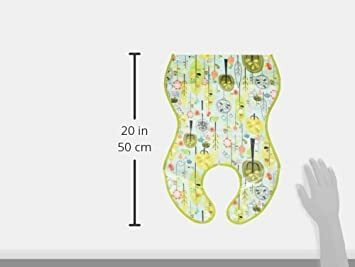 In fact, it can be unsnapped and laid flat so that you can quickly wipe it clean and then snap it back up again ready for use. 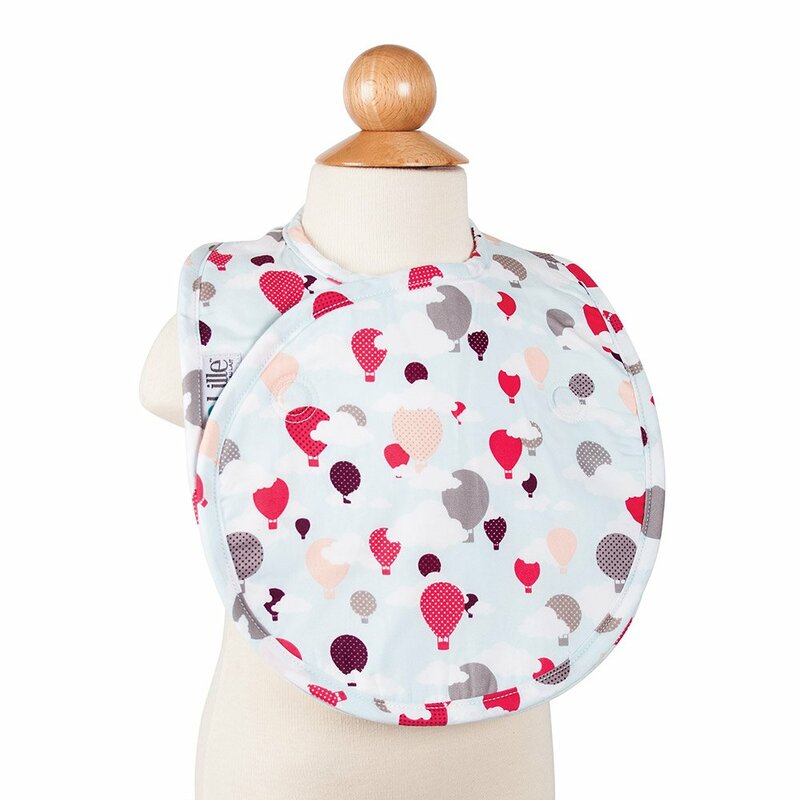 What's more, when fastened our pocket is specially designed to bow away from baby staying open and therefore catching and retaining up to 1/2 cup of food and liquid! 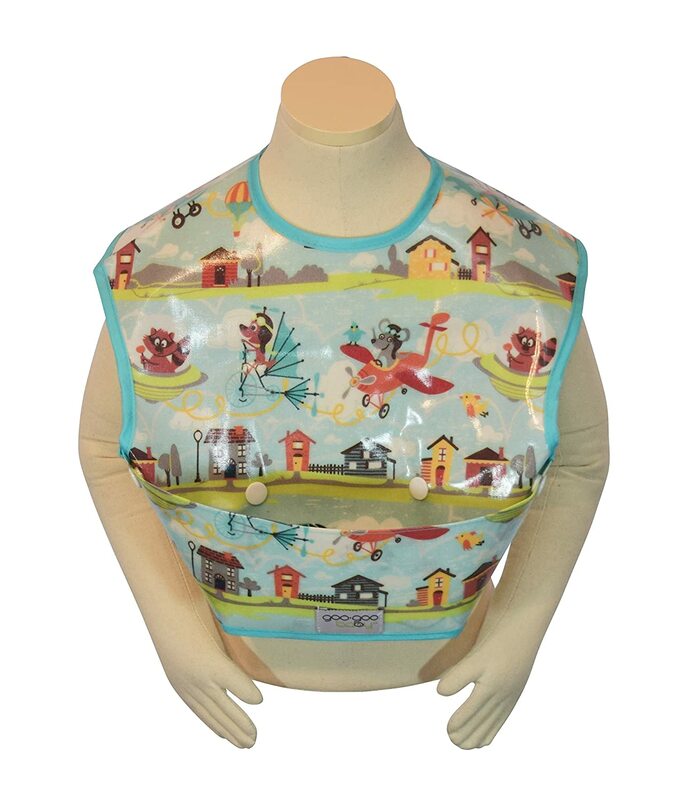 say good-bye to rusty metal fasteners and sharp Velcro as our bibs come with comfortable and adjustable plastic neck fasteners. 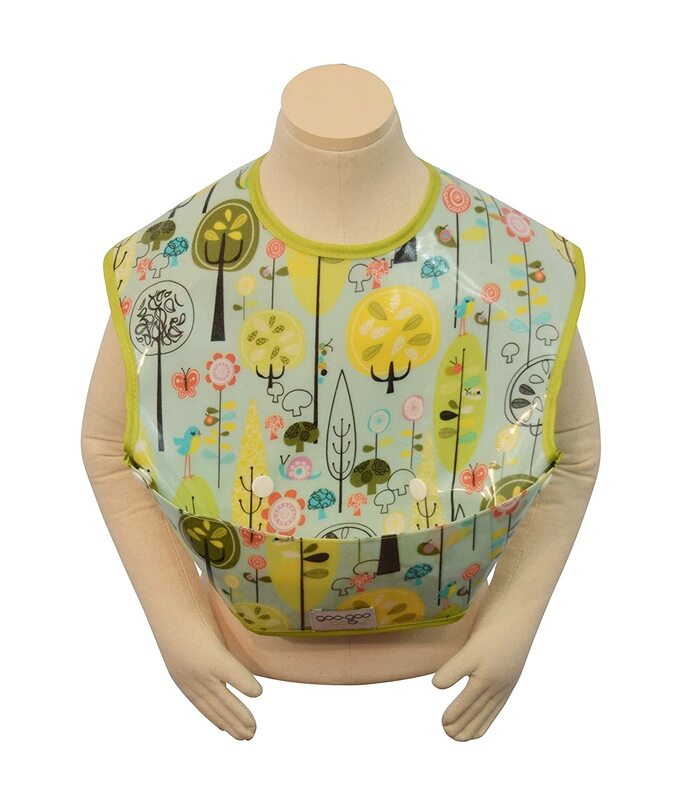 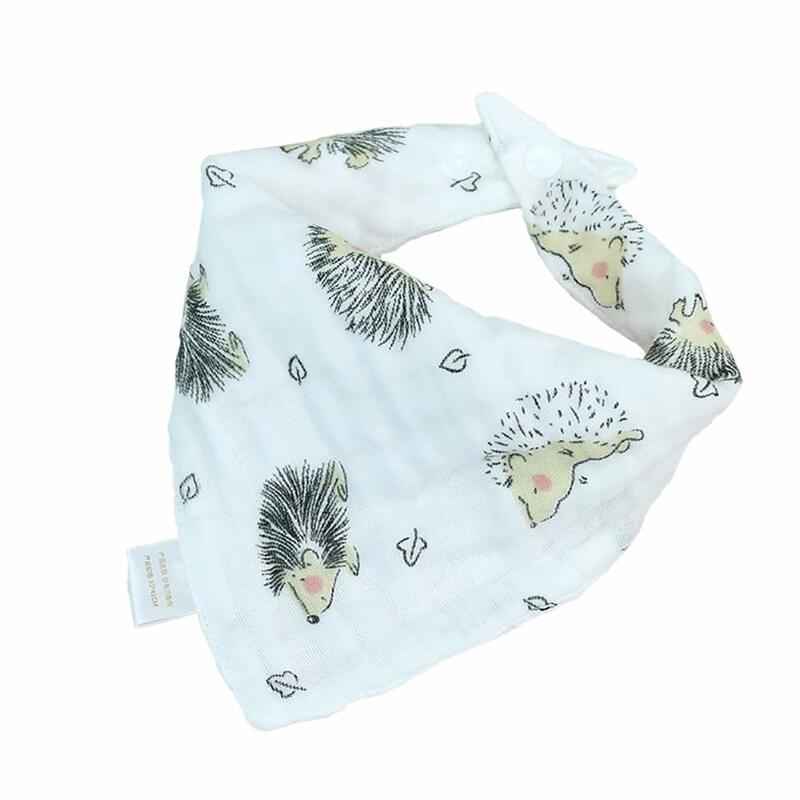 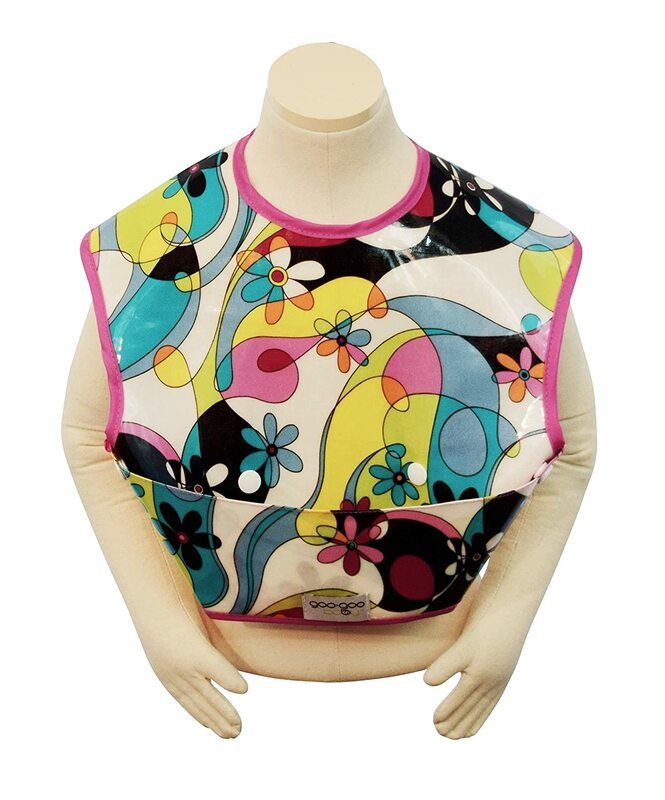 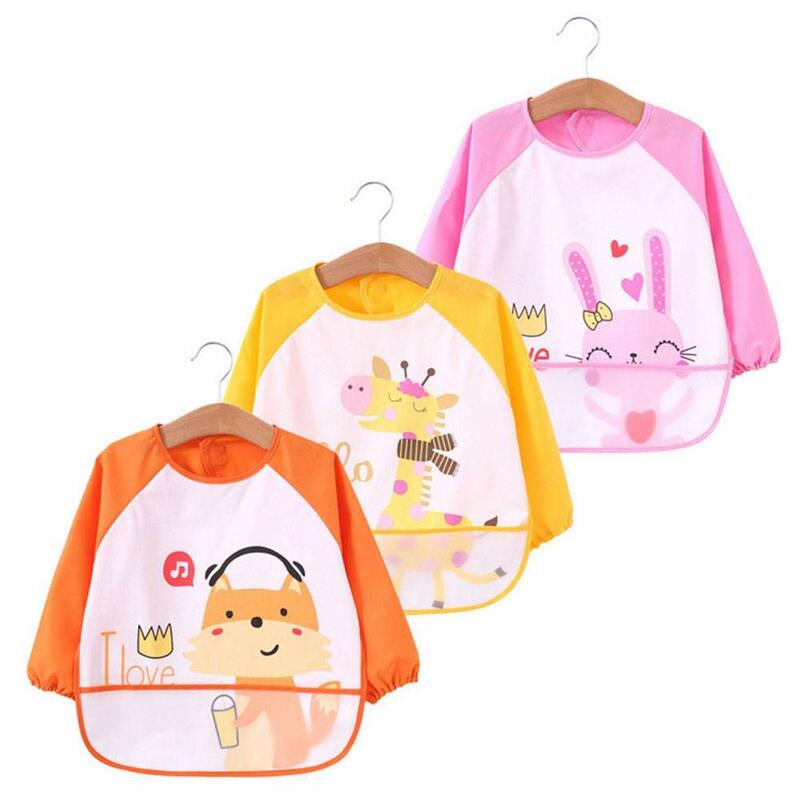 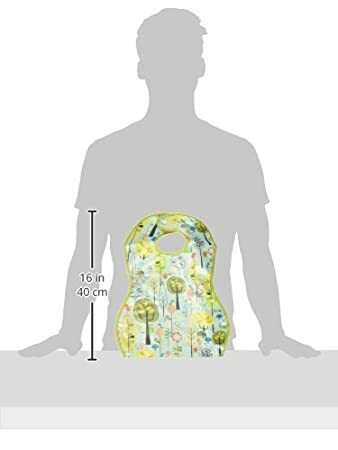 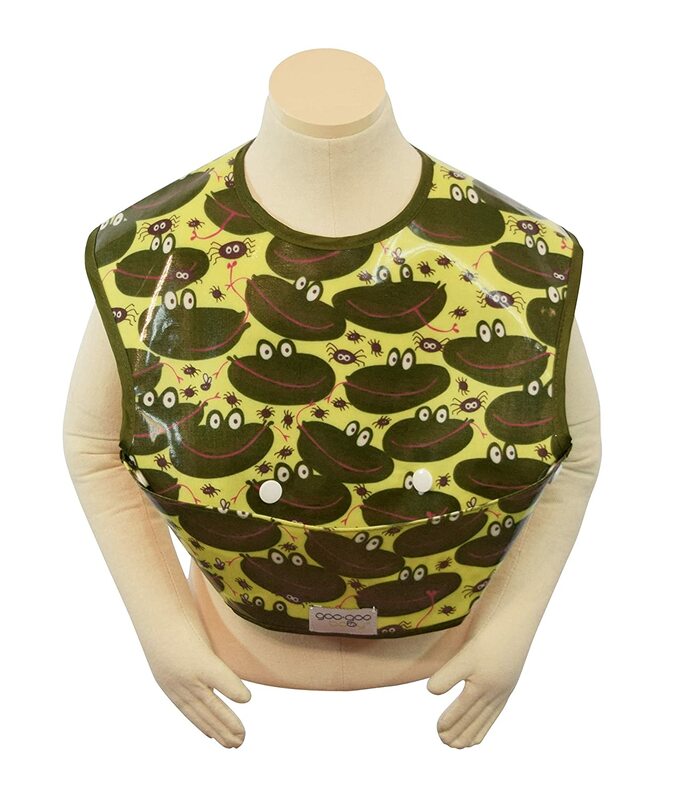 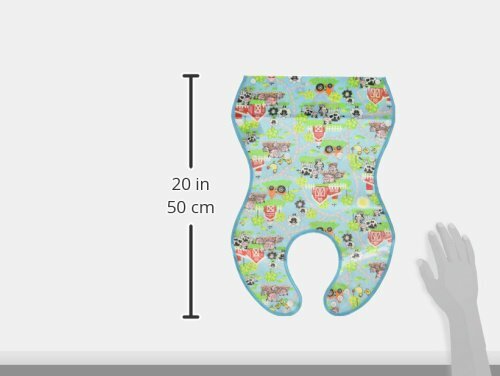 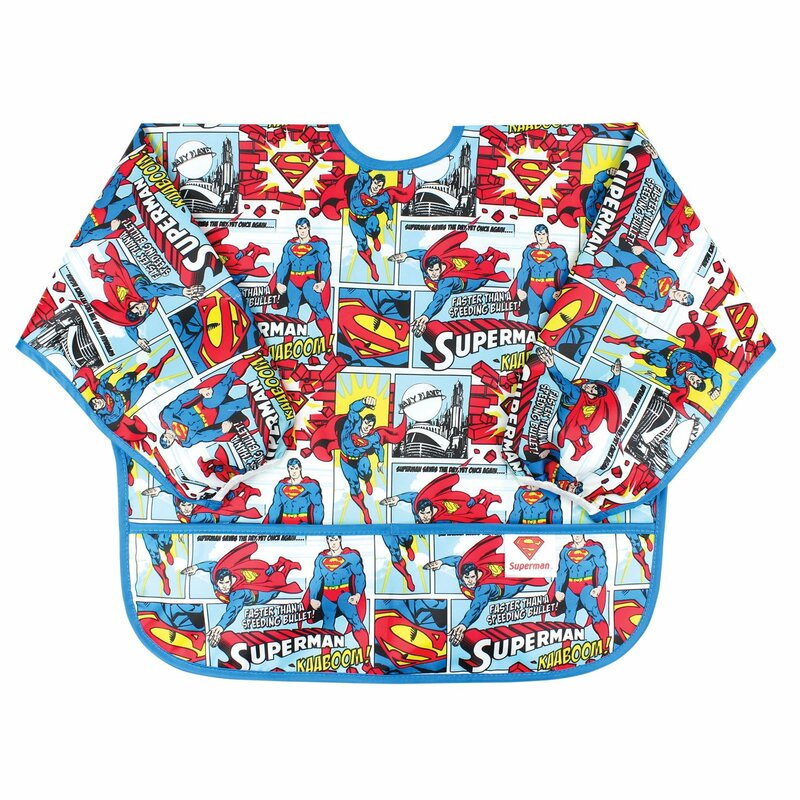 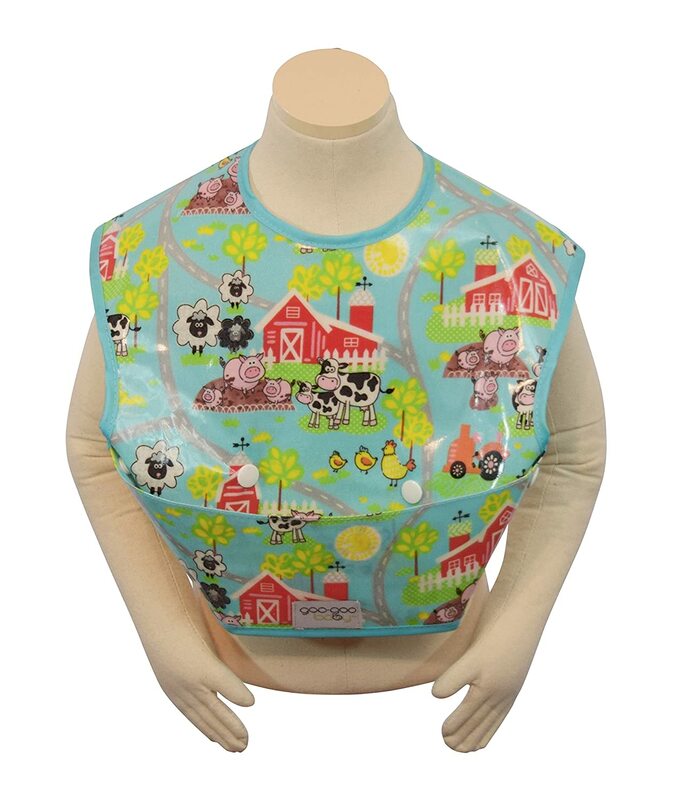 The perfect pocket waterproof bib comes in two sizes: 6-24 months (or 10-30 lbs) 2-4 years (or 20-50 lbs). 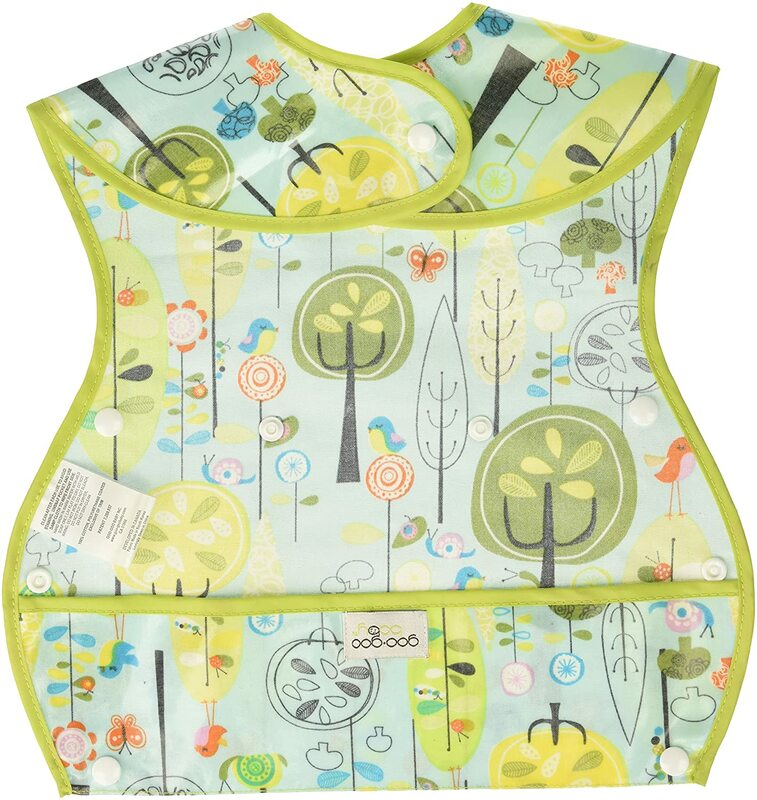 Same problem with the snaps here, I had many bibs from this company but this very model, the snaps always break. 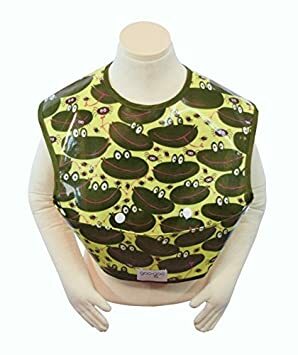 Very practical. 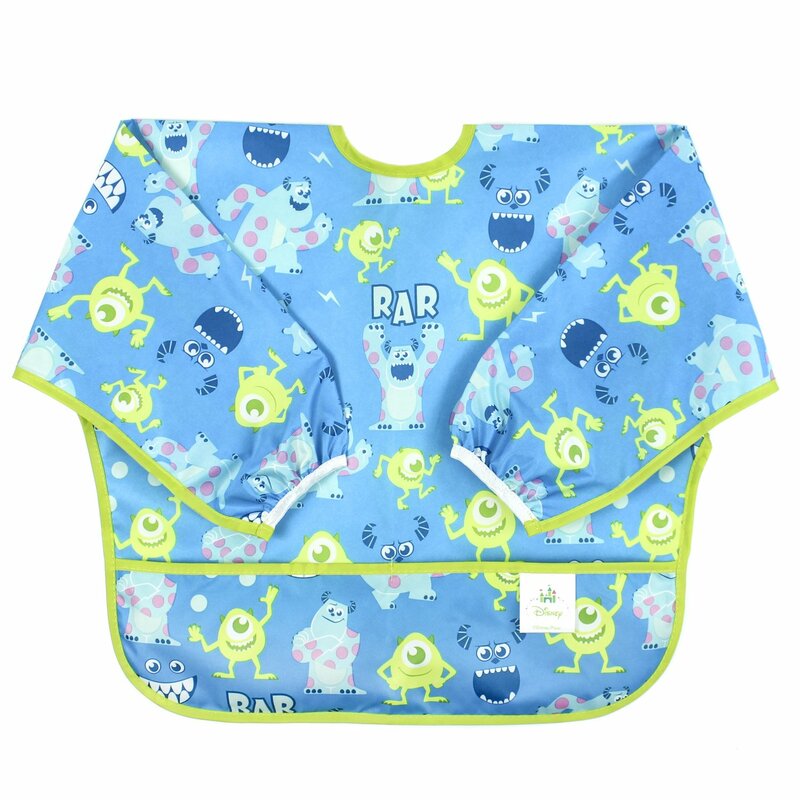 Catches spills very well and its easy to clean. 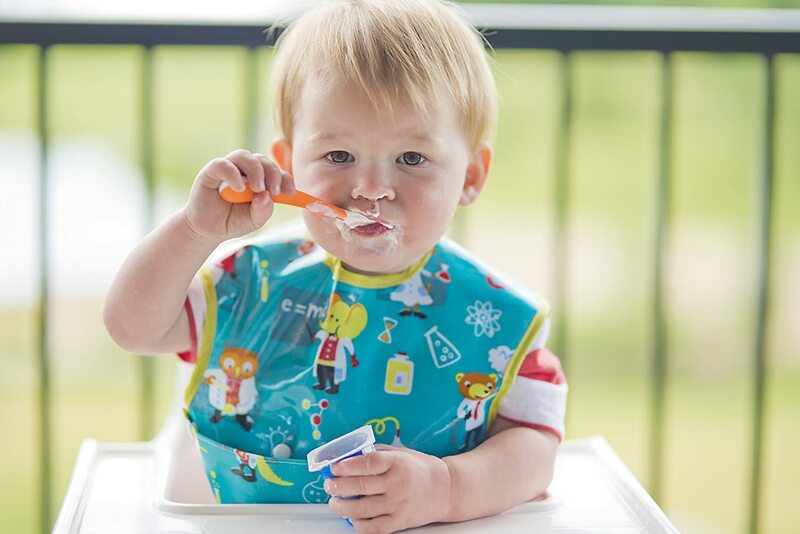 Quality has gone down since the last time we bought this type of bib a couple of years ago.